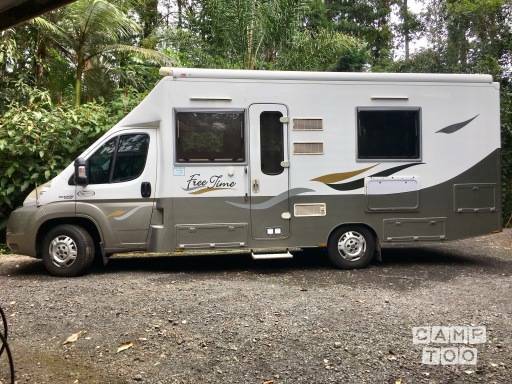 We love this "Home Away from Home", so if you have been dreaming of seeing Tropical North Queensland, this is your choice for style, comfort, space with plenty of storage for suitcases, and a head-room of 196cm (6'6"). Free camping is allowed as this home is set up for it with 450w solar panels, diesel heater and 150lt 12v fridge. The generator will charge the house batteries, and can also run the microwave OR air-conditioner. For your information, best fuel consumption speed is less than 96kph. "Caravan Parks Australia Wide" and "Camps Australia Wide". 1400kms are free per week, then surcharge of .50c per/km. IF you have to fill a GAS bottle, a refund will be made to you on providing an invoice/receipt. Motorhome to be returned clean and tidy, if not an extra $90 will be charged. On return Diesel fuel tank and Generator Petrol tank full or a charge of $3 per/lt. Grey water tank and Toilet cassette empty or charge of $50 for each. Minimum hire of 3 nights. Travelling and living in Marion's camper was such a lovely relaxing holiday. The camper is really well set out, everything working well, easy to use and way more storage than we needed. The van itself traveled well, was pretty economical fuel-wise and seating was comfortable. All communications with Marion pre and post travel could not have been easier, and her son did a great job helping us familiarize ourselves with the van's workings. Thanks so much for allowing use to borrow your travelling home. We has a terrific time in this motor home. I would highly recommended it. Marion was lovely and so helpful the bus was like driving a car, beautiful. Thank you for the experience we are looking forward to the next trip. 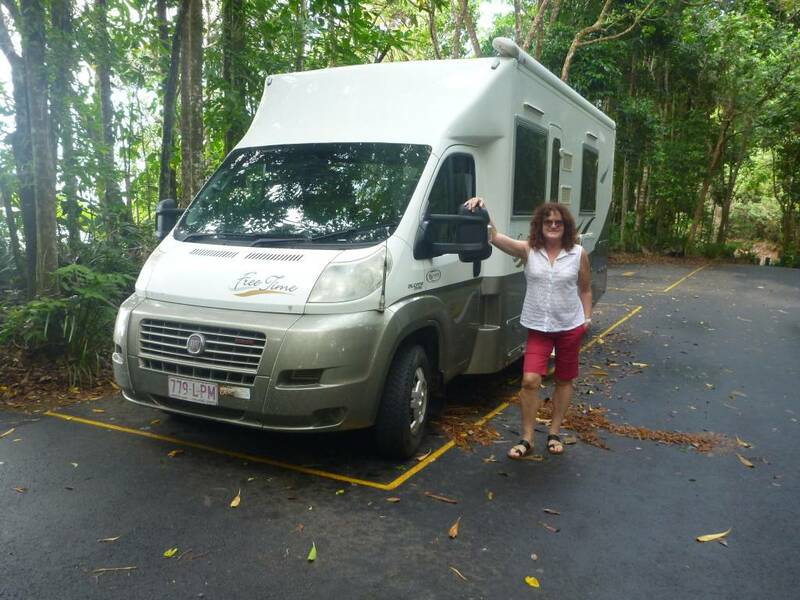 Je kan de camper ophalen in Kuranda bij Marion. Je kan je auto hier gratis parkeren.